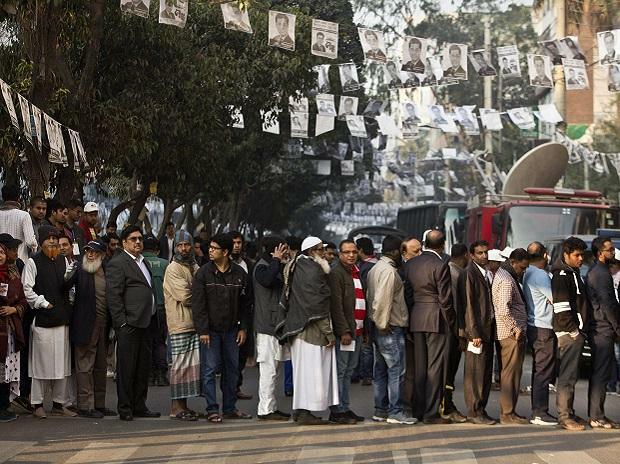 Anti-corruption group Transparency International said on Tuesday it found "irregularities" in 47 of 50 constituencies it surveyed during last month's general election in Bangladesh, which was marred by allegations of vote rigging. The poll that gave Prime Minister Sheikh Hasina a third straight term was undermined by ballot stuffing, voter intimidation and the occupation of polling booths among other malpractices, the group's Bangladesh chapter said. The government rejected the report, saying the group had "lost its neutrality" and should be investigated for any "secret link" to the main opposition Bangladesh Nationalist Party (BNP). "The Election Commission did not perform its role properly," Iftekharuzzaman, executive director of Transparency International's Bangladesh chapter, told reporters in Dhaka. "We recommend an investigation by a judicial enquiry committee, because such an election is not positive for democracy," he added. An Election Commission spokesman said it would examine the group's report. H.T. Imam, a political adviser to Hasina and co-chairman of Awami League's election conducting committee, said the anti-corruption group was "a puppet of the BNP". "Now it's time to investigate the (group) to bring to light whether it has any secret link with the BNP," Imam told Reuters.